Sue Townsend’s novel, a modern comic classic, was published in 1982 and sold 20 million copies. She went on writing about Adrian Mole and his grown-up pains until her early death at 68 in 2014. The diary records the aspirations of a priggish, naive, misunderstood adolescent, one of the great under-achievers, who lives on a suburban house estate in Leicester and has acne trouble, parent trouble, school trouble and girlfriend trouble. His mum and dad separate and have affairs. His girlfriend (Pandora with the treacle hair) is loved by his best friend. If you are male and you were a 13, 14, 15-year-old in the 1980s and if you have read his diary you will already know how funny and truthful Townsend’s portrait is. 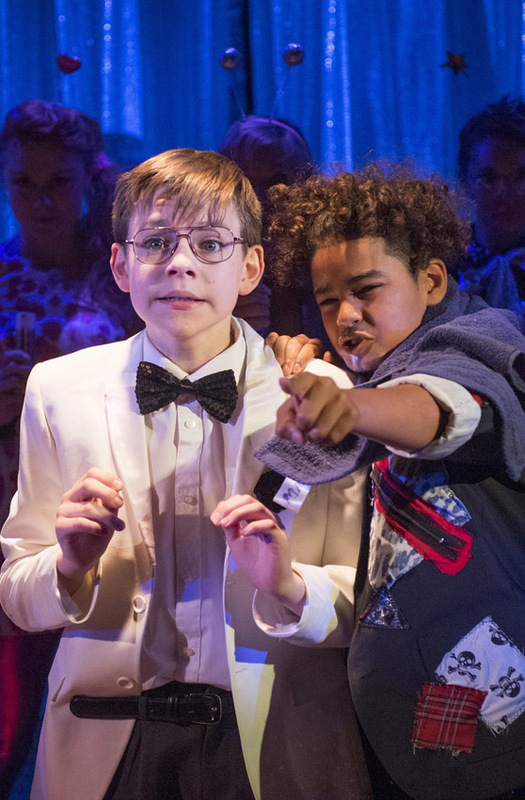 Adrian Mole has appeared on stage, TV and radio. Now he is in a musical by Jake Brunger and Pippa Cleary. It was initially premiered in Leicester in 2015 and has been revised since then. 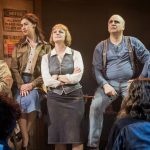 The musical gets a lively and enjoyable production from Luke Sheppard and his choreographer, Rebecca Howell. One of the funniest scenes, which may offend some, is a school Nativity play. There are three sets of children. 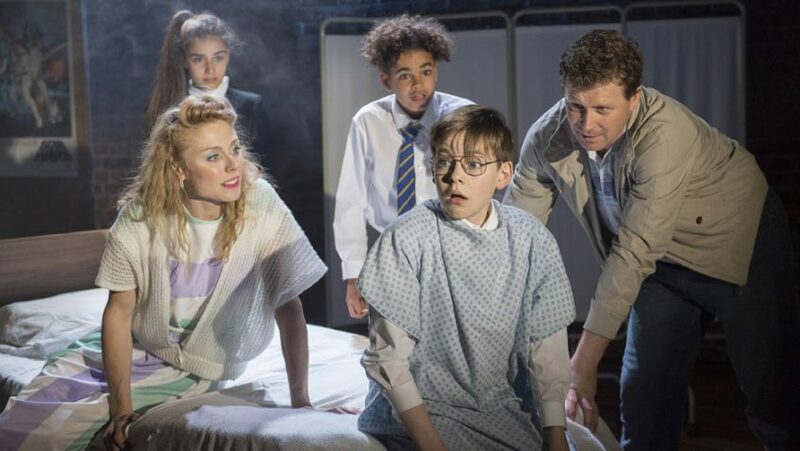 I saw Benjamin Lewis as Adrian Mole, confidently and appealingly, heading a cast which included Asha Banks as Pandora, Amir Wilson as Mole’s best friend and Connor Davies as a bully, all of them talented and amusing youngsters. The grown-up actors are cast in a variety of roles, including children. If Barry James as a mean old sod stands out it is because the mean old sod has a lot of funny lines. John Hopkins has fun too, as louche lover and manic headmaster.